It seems that summer is over for the UK, but there are still many people going abroad in search of sun these days. For this reason I decided to write about Annemarie Borlind Sun Milk as it might be useful for some. I bought Annemarie Borlind Sun Milk SPF 30 in Slovenia while was I on holiday as I ran out of my Jason sports suncream. This sunscreen seemed like a good choice amongst those more ‘natural’ ones. I didn’t know much about this brand when I bought their product so this post is also about learning about the brand and the ingredients they use. AnneMarie Börlind is a German natural beauty brand which you would normally not find in the UK. At least I never stumbled upon this brand while shopping in natural health and beauty stores online and offline. The brand started as a family business over 50 years ago and today it is still owned by the Lindner family. Effective natural cosmetics with a focus on organic ingredients. Carefully formulated for every skin type and skin problem, with a bouquet of natural ingredients and no animal extracts, petroleum derivatives or silicones. If you want to know more about this brand they actually have an English version of their site which you can check here. I used this sun mik on holidays for about a week and after that every now and then when the sun was out in the UK. I like how easy it is to apply, as it’s not that thick (Jason sports sunscreen is thicker) and it quickly absorbs, leaving no white residue, only a little bit of shine on the skin which diminishes a bit with time. It doesn’t smell like any other sunscreen I used before – it’s a really nice fragrance, although I am not sure what that is. 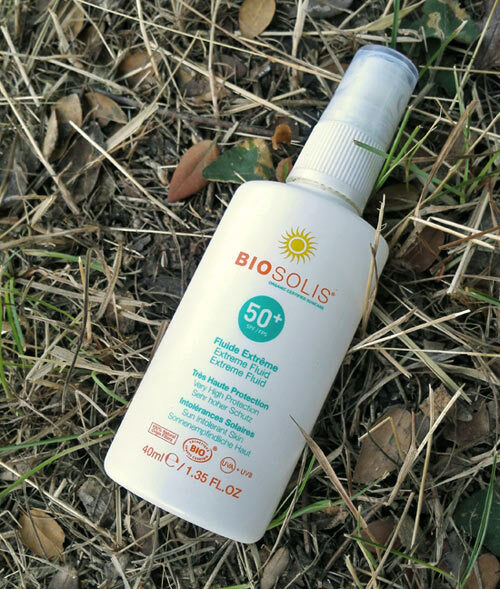 It doesn’t contain parabens, mineral oils, silicones, PEG, synthetic colours and animal extracts and it protects you from both, UVA and UVB sun rays. As with any other sunscreen you have to be careful not to stain your clothes with it as the stains could be difficult to remove. I found it an effective sun cream, giving me good sun protection and preventing my skin from burning. I haven’t burnt once while using it. It doesn’t look like it’s 100% natural though as it has some questionable ingredients which you can see below. I don’t think I came across 100% natural sunscreen before and not sure if it exists but if it does I would definitely like to try it so please let me know! I am not sure whether any of these filters could be in any way toxic to human or have any side effects after using the sunscreen for long period of time but at least they are approved throughout the EU. Overall, the ingredients are not that bad – at least there is no nano particles in it and UVA and UVB filters are always needed otherwise this wouldn’t be a sunscreen! 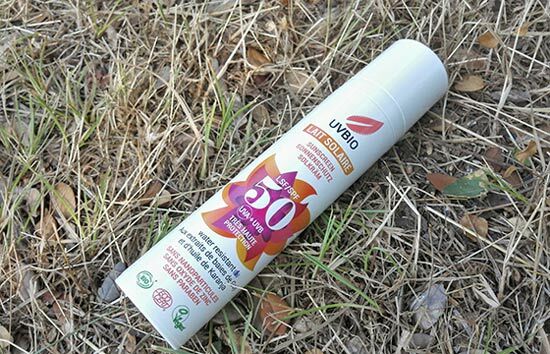 When I bought this sunscreen I thought it was quite expensive, costing me around 23 euros. It is definitely the most expensive sunscreen I ever bought, but I think it was worth the money. Fortunately, in the UK you can get it for a much more reasonable price on Amazon. If you happen to go to Germany any time soon, remember to look for this brand as I am sure you could get this sun milk for a better price there than here. 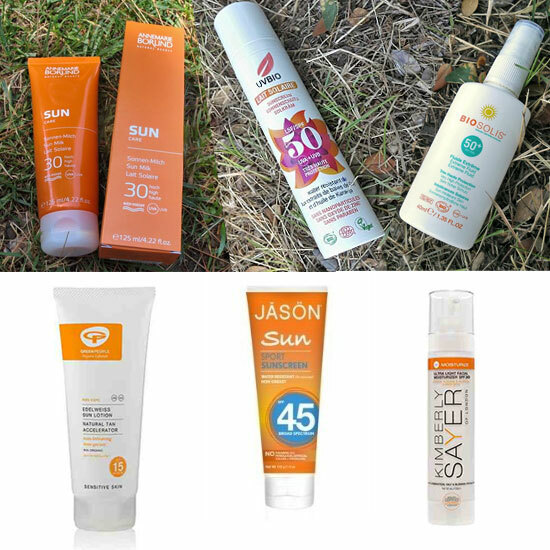 If you are looking for a new natural sunscreen also check some other natural sunscreens I tried so far. Have you heard of Annemarie Börlind brand before and have you tried any of their products?